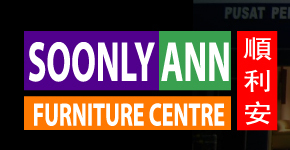 SOONLY ANN FURNITURE CENTRE was incorporated in 1980 started at Taman Sentosa. We specialized in Furniture Manufacturing, Office Furniture, Interior Design Consultancy, Laboratory Furniture, Custom Made Furniture, Residential & Office Renovation. We are office furniture producer that specializing in various kind of high quality, stylish and modern office furniture comprise of modular office furniture, system furniture, seating and so on. Our business approach is to provide a professional designer, a large number of experienced, skilled technicians and management backbone, with strict production management system, strict quality assurance and after sales service. To bring our sincerity and loyalty services to clients.